Why have food crises seemingly become more frequent in recent years, compared to the last few decades? This book examines an array of different issues and distortions that are causing food supply chain dysfunction in many countries, particularly for staple non-perishable foods such as grains, oilseeds, pulses and sugar. It outlines the underlying changes that are currently occurring, which will have an influence on the direction of future food supply chains, and provides some solutions to current food security problems. Based on an analysis of total regulation in the 1950s-60s through to deregulation during the 1980-90s, as well as post-deregulation, it focuses on liberal trade and deregulation as a more successful solution to creating efficiencies in food supply chains and distribution. The author highlights a common thread of either farmers using government for vested-interest intervention, or autocratic governments seeking market and supply-chain power. The book examines the role of government after 70 years of food supply chain intervention. It discusses the role of commercial ‘trade’ markets and cluster industries and how these can quickly disintegrate when price distortions occur. The author studies both food importing and exporting countries and concludes that comingled commoditization of food has led to increased hoarding, corruption, and dependence on food aid. He argues that a competitive food supply chain that has minimum intervention is more likely to provide future food security. 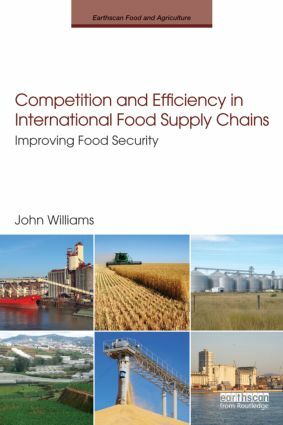 In conclusion the book emphasizes that adequate rewards, competition, and striving for supply chain efficiencies are the essences of sustainable food security.